Going on family vacations can be a lot of fun and excitement. However, when it involves little kids and long hours of airplane flight, it can be stressful and exhausting. Especially kids who are just a year or two, keeping them occupied and sedentary can be challenging. Kids at that age love to move around and also have a very short attention span. Parents with young kids will need to plan and prepare ahead to make their trip comfortable not only for themselves but also for other passengers. Airplane travel with kids can be stressful for many parents; however, the ordeal can be turned into a pleasant experience if parents plan. There are many toys that kids can enjoy even in the close quarters of airplane cabins. If you are planning airplane travel with your little ones, you can check of the following list of best toys for kids to enjoy during their long flight. The list includes toys for kids of all ages. Video Players: Kids of all ages love watching videos. A DVD or MP4 player is the best way to keep kids occupied for long hours. Kids can enjoy their favorite show quietly in their seats while flying. Parents can pick their child’s favorite show on DVD or download them in advance so that the kids can watch and enjoy them on the airplane. You can also use your phone if you do not have a DVD player. Kids today are all technology savvy and can operate an iPad or notebook with ease. It is also an excellent opportunity for parents to let the kids watch educational videos which are fun and entertaining. Kids will learn as well as be entertained. There are many fun as well as educational videos available online which can be downloaded for free. Parents need to make sure there are enough batteries to last the entire flight. You will easily find MP4 players or DVD players on Amazon.com. There are varieties of players available which are portable and user-friendly. Stacking cups: Stacking cups are fun and entertaining for little kids. They come in various colors. Kids love to stack the cups, put things inside the cup and take them out; they can quietly play with these colorful cups for hours. They can stack them up or link them. Stacking cups do not require much space to play. The tray-table on the airplane will provide enough room for the kids to play with the cups. Stacking cups are not only entertaining but playing with this toy will help your child build hands and eyes co-ordinations. This is another play-way technique of teaching your child and is ideal for toddlers. Plus, it can be easily packed and stored for travel. Stacking cups are available on Amazon.com, or you will also find them in any other popular shopping sites for kids. Spin ball toy: Spin ball toy is a colorful and eye-catching toy. It is also an excellent sensory toy; kids can enjoy the colorful ball, the bobbles outside the ball can develop the sense of touch, spinning the ball will improve the motor skill of the kids. Kids who play with spin ball toys have shown great concentration and focus. Although the toy may look like an ordinary toy to the adults, for kids it entertains and triggers their senses. Kids can spend hours exploring and be playing with this fantastic toy. Spin ball toy is also now commonly used by developmental therapists. It develops their sense of touch, motor skill and hand-eye coordination. The toy is durable and easy to wash. Unlike other balls, spin ball toy does not roll away, and for infants, it is perfect to play with. The slides are colorful and make a clacking sound when moved. The clacking sound also keeps the kids entertained. 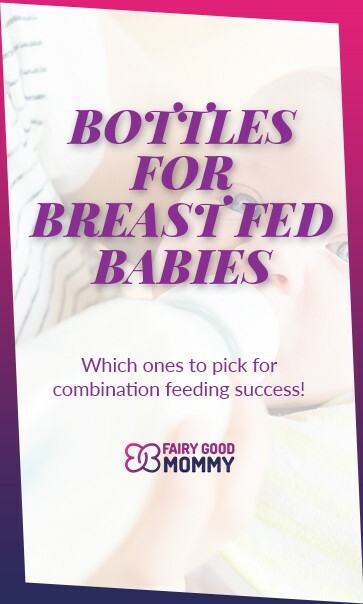 It is ideal for five months to 8 months old babies. At this age, kids are easily intrigued, and this spin ball toys can trigger all their tactile buttons. The ball is comfortable to hold even for infants. Spin ball toy is now highly sought after for its developmental benefits. Spin ball toy is also available on Amzaon.com for purchase. Buckle toy: Buckle toys are now becoming very popular. Buckle toys are not merely toys. They can develop your child’s motor skills, hand-eye coordination and also teach them to recognize colors and strengthen their problem-solving skills. The buckle toy is ideal for toddlers. The snap and click aspect of the buckle toy will also keep them fascinated. The buckle toys also have different types of clasp styles which are child-friendly. Buckle toy is widely used by child therapists to develop various early skills of children. Besides being an educational toy, buckle toy comes in various sizes, colors and shapes and even themes; children can enjoy buckle toy in their favorite theme. Currently, the animal themes are the favorite. You can also opt for numbers or alphabets theme to teach your child math or the alphabets. The soft buckle toy is easy to handle and clasps. Buckle toy is ideal for airplane travel to keep your child engaged and occupied for a long duration. The buckle toy is also durable and washable. You can easily order buckle toys from online shopping sites such as Amazon.com. Farm in a tin: For children over four years and above, Farm in a tin is ideal. The play set has small parts however the parts are compact and made of wood. The play set contains farm animals, a farmer, a farm truck, and buildings, and also includes a play mat. The children can now enjoy and learn more about the farm life and farm animals. Parents who have bought this Farm in a tin have remarked that the miniature farm life has been beneficial in keeping their children occupied and also suggested it is perfect for the long hours in airline terminals or gatherings. Not only children but adults also love to play the pretend life on a farm and live their fantasy of living in a country. The Farm in a Tin is available on Amazon.com. Books for Kids: There are fabulous collections of books for kids. One of the favorite storybooks for the little ones is the Find the series by Felicity Brooks. The storybook contains colorful illustrations by Stephen Cartwright. The latest in the series is Find the Duck. The texts in the book are short and easy even for toddlers to understand. Children can enjoy the story as well as love finding the duck in each page. The illustrations of the story make it interesting for kids. The series also contains Find the Puppy, Find the Teddy and lots more. You can pick the series as per your child preferences as well. Coloring books: Coloring books are fun and challenging for kids. The various shapes, color and design of coloring book pages will keep any child focused and occupied. It is ideal for children of all ages and is one of the best ways to keep kids engaged during a long flight. The tray table is also perfect for the purpose. The coloring book is not just a way to keep children occupied; it has many developmental benefits for them. It develops the hand-eye coordination, builds dexterity, develops the cognitive skills in children, develops the creative nature and also helps children to recognize shapes, colors and structures. Coloring books are also therapeutic for both children and adults. There are varieties of coloring books available. You can choose depending on your child’s preferences. For girls, there are Disney Princesses themes and for boys the Super Heroes theme. The jumbo Coloring book by Melissa and Doug has a different theme on each page and is ideal for children of all the genders. Crayons: If you choose to buy coloring books for your kids for the long airplane trip, you also need crayons. The Triangular Crayons by Melissa and Doug manufacturer is ideal for travels. The triangular shape of the crayon will not let the crayons roll down on the aisle or under the airplane seat. It is suitable for use in such close quarter cabins. The crayons are durable and are made of break-free plastics and not wax. The triangular shape of the crayons also makes them easy to hold and color. The crayon set comes in 12 colors. Water Reveal Pads: For a mess-free coloring, the Melissa and Doug Wow! Reusable Water Reveal Pads are the latest craze. The reusable Water Reveal Pads comes in a pack of 6 pads with different themes such as the alphabets, animals, numbers, cars, safari and underwater. The water pen is included in each kit. The hidden pictures are revealed with each stroke of the water pen which builds up the excitement and curiosity of children. Once the kid is the done revealing all the four pages of the pad, you can dry the pad and reuse it later. The water Reveal pads have been specially designed for travels. There are water reveal pads by other manufacturers as well. Teethers: when traveling with infants, parents must bring along teethers for their babies. Teethers come in various shape, size and colors. The more vibrant the color, the more stimulating it will be for the baby. Babies can be kept occupied playing with teethers for long durations. Teethers that can also double as a rattle are the best buys. Ring-O Links Teethers by Sassy is one of the best teethers available. The Rings can be detached and link to one another. The rings can also be used as fasteners to other toys and objects. Kids love linking the rings and can play for hours with them. It is also ideal for babies on an airplane to keep them entertained and engaged. Traveling by airplane with kids can be challenging, but it has its excitement and experiences. Kids love airplanes, and you can be sure the experience of flying can be quite an adventure in itself. 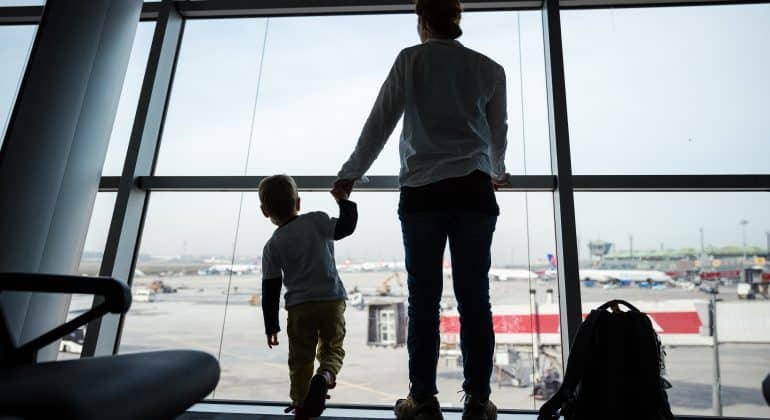 To make your airplane travel memorable for you and your kids, you must prepare well in advance or at the very least grab some of the toys mentioned above from the duty-free shops before boarding.